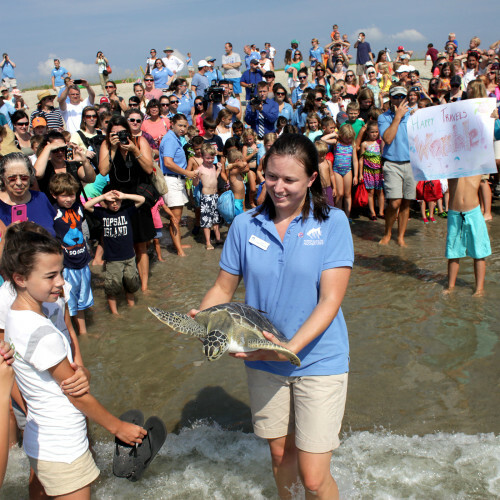 The North Carolina Aquariums are committed to inspiring appreciation and conservation of North Carolina’s ocean, estuaries, rivers, streams and other aquatic environments. 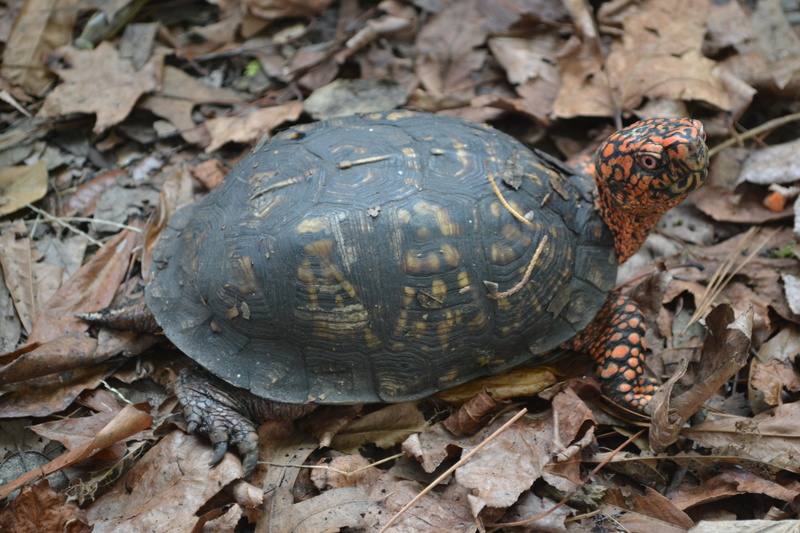 This includes the many species of turtles that are found in our state. 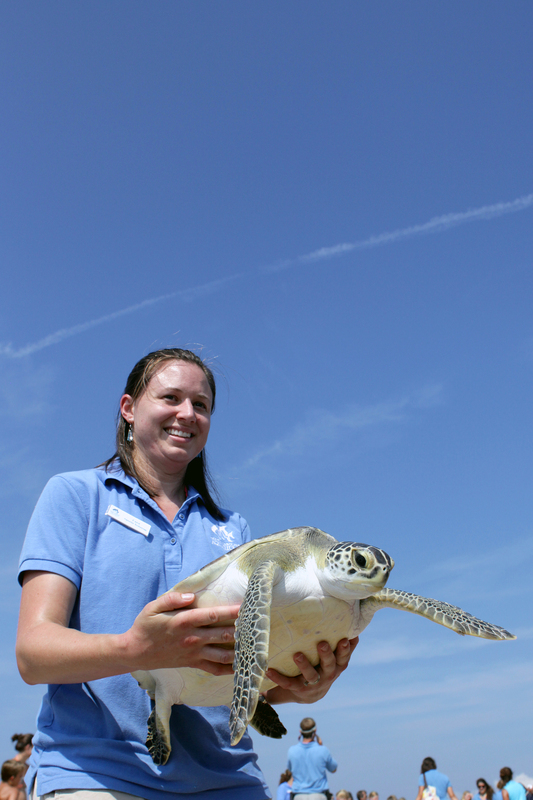 The North Carolina Aquarium at Fort Fisher is home to many species of turtles including green and loggerhead sea turtles, Eastern box turtles, and diamondback terrapins. 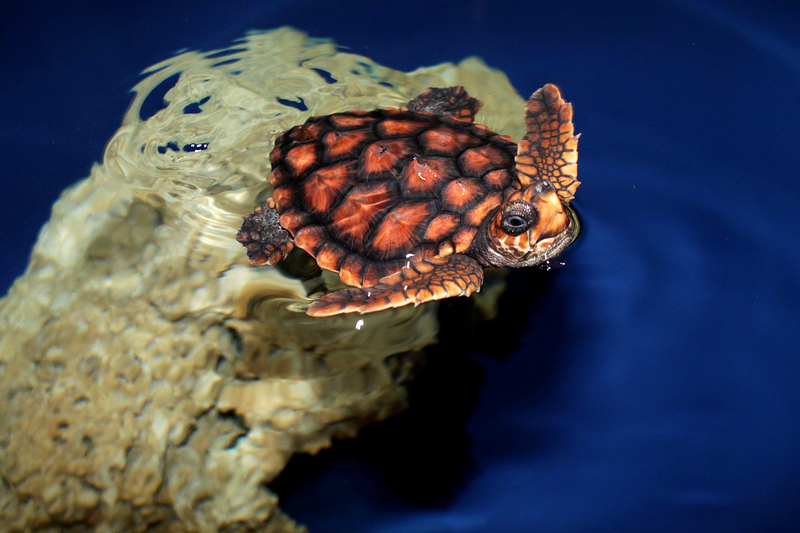 Most of the turtles will spend their entire life at the Aquarium. Some are even born at the Aquarium. 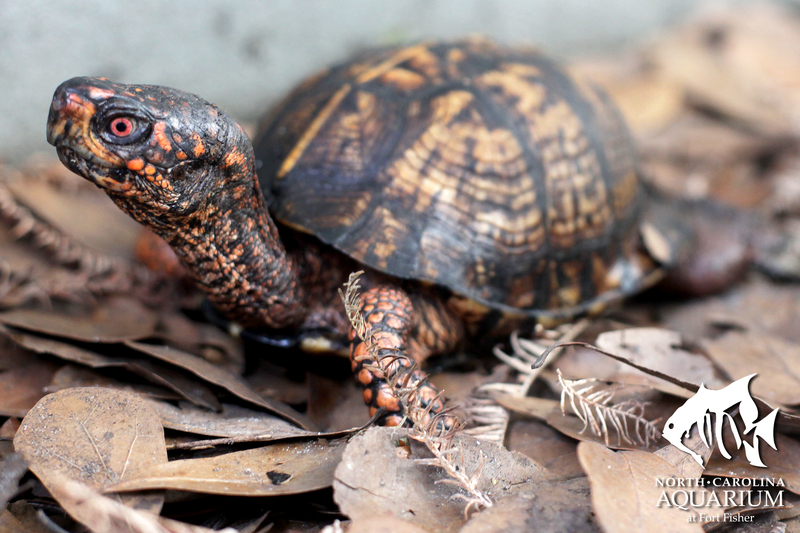 On your next visit, make sure you check out our baby box turtles in the Freshwater Conservatory. 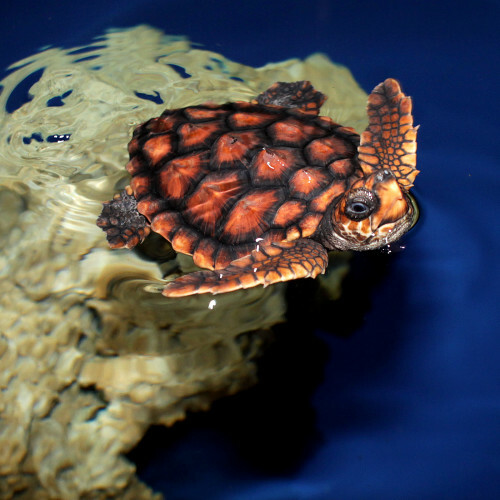 Other turtles, such as the loggerhead sea turtles, are only at the Aquarium for a short time. 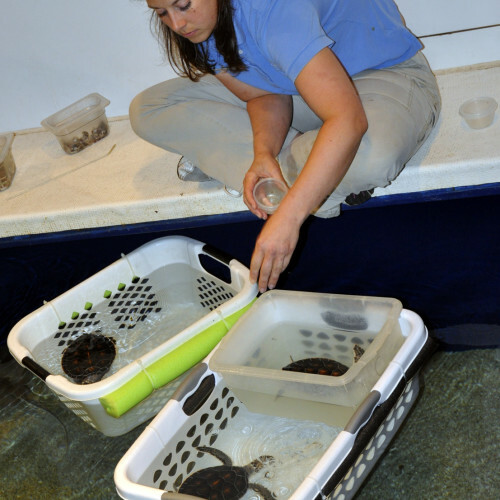 The North Carolina Aquariums work with the North Carolina Wildlife Resources Commission to help care for sea turtle hatchlings that may not be ready to go into the ocean. 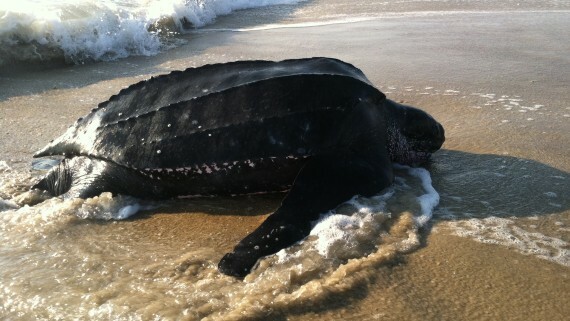 This could be because a turtle was late hatching, injured or sick. 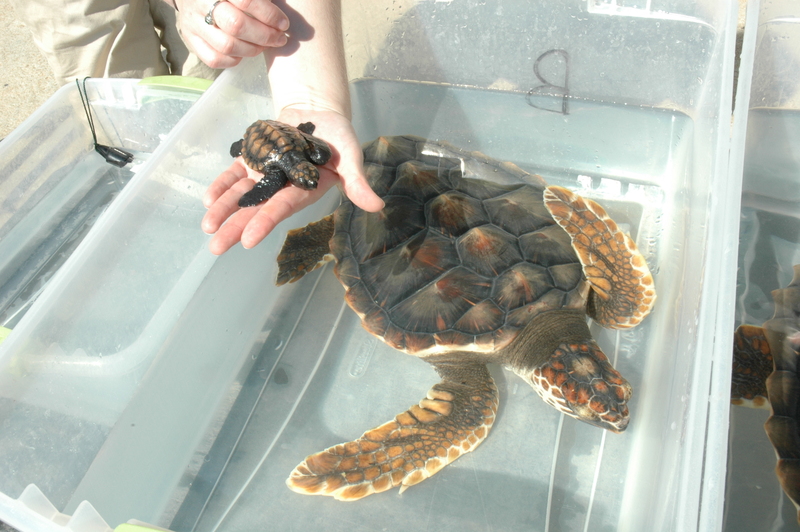 Once the turtles are eating and showing normal turtle behavior, such as swimming and diving, most are released offshore in the Gulf Stream. 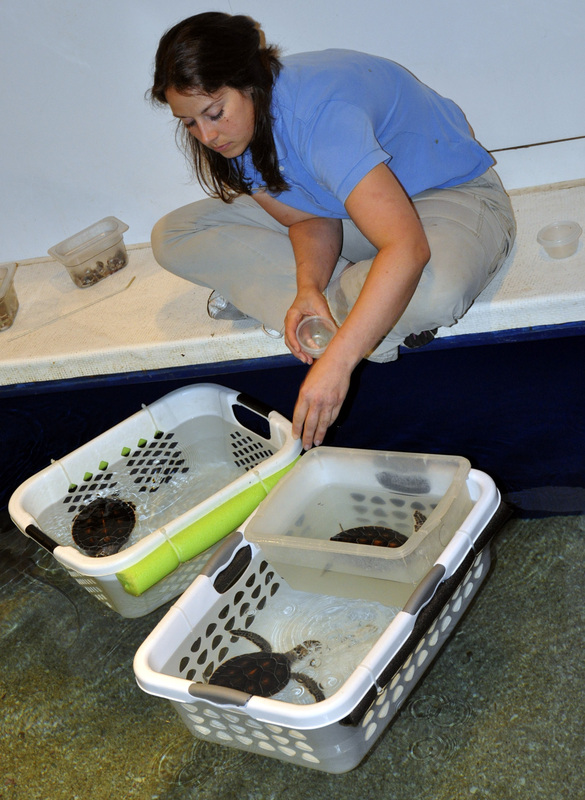 Some of the hatchlings stay at the Aquariums to be Turtle Ambassadors. They spend a year or more at the Aquariums educating visitors. 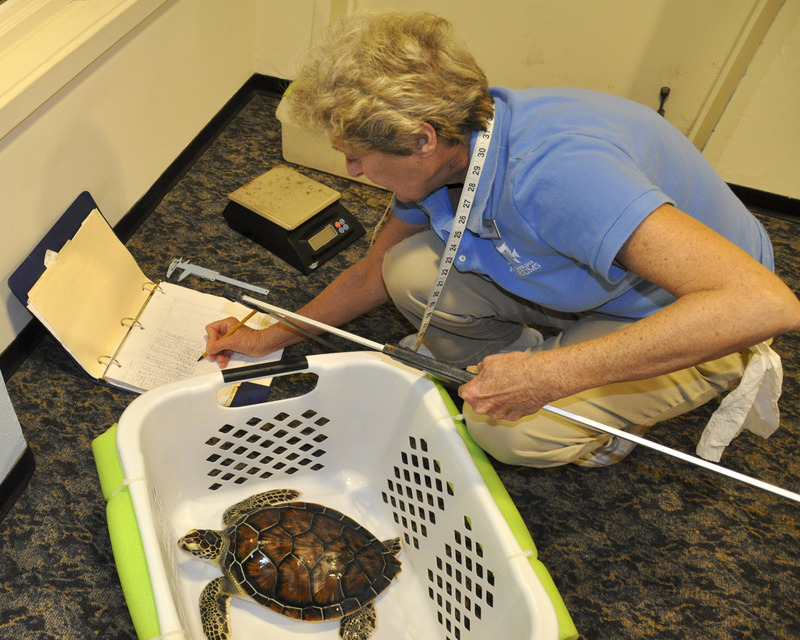 In return, the turtles are well cared for and grow to be big and strong before they are released into the ocean. 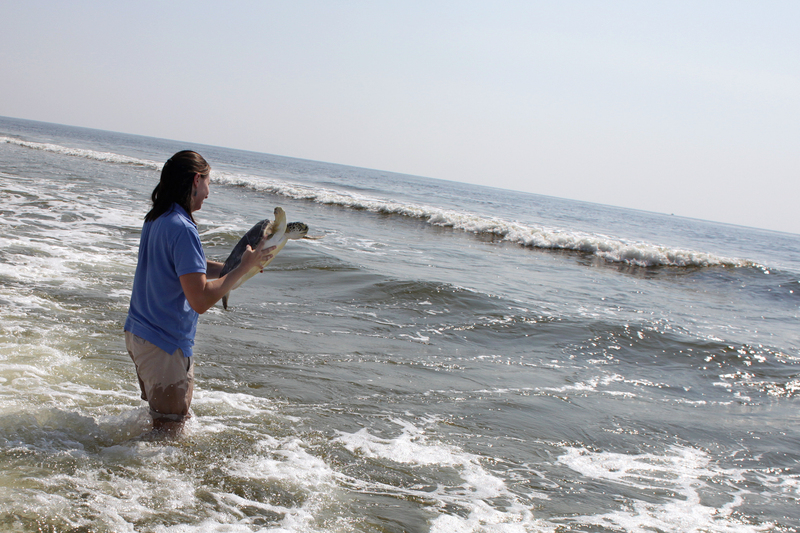 Before the turtles are released, they are given live food to help them practice catching their own prey. 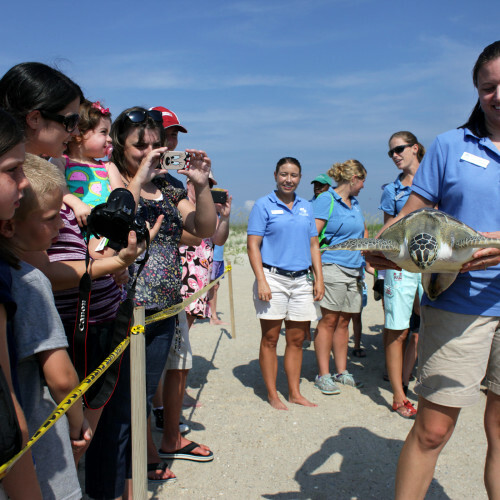 You can learn more about the Turtle Ambassadors at the North Carolina Aquarium at Fort Fisher through our Adopt a Turtle program. 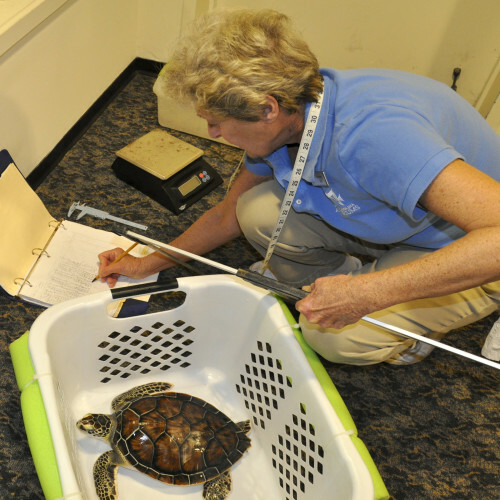 Once the turtles are ready, they are taken offshore and released into the Gulf Stream. 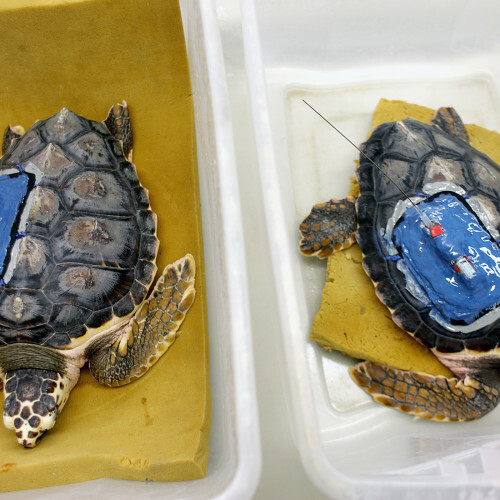 If the turtles are large enough, they are fitted with a satellite tag so they can be tracked. 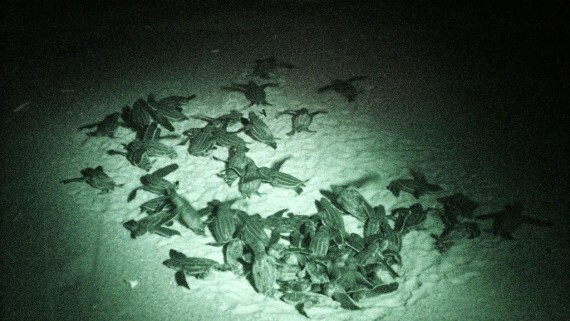 You can learn more about these projects at SeaTurtle.org. 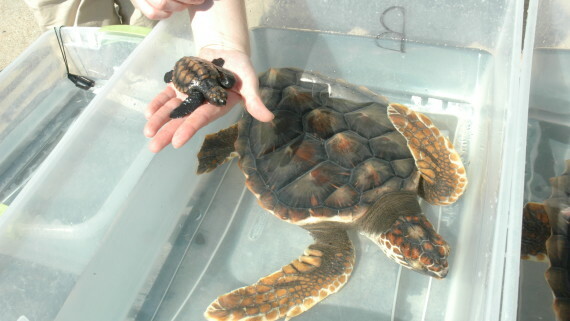 The Aquariums often get sea turtles for other reasons. 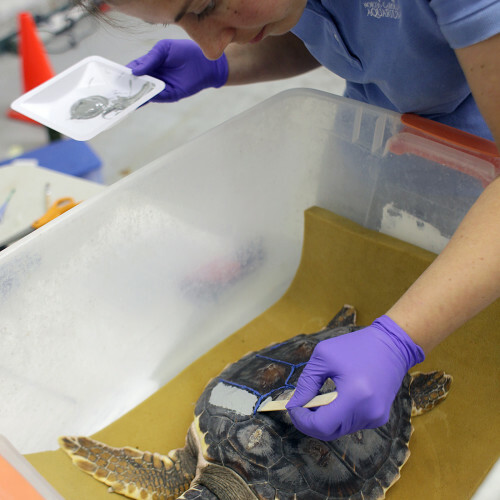 This can include cold-stunned turtles, injured turtles and other problems. 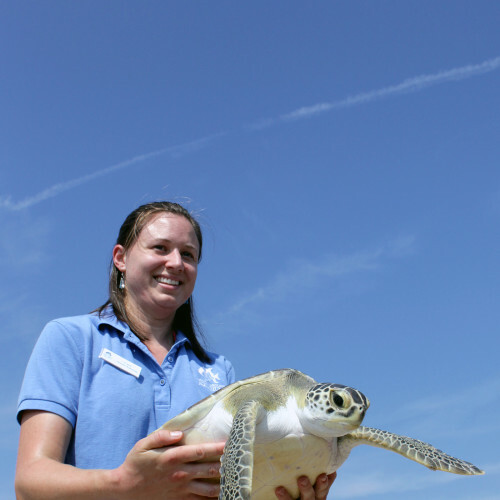 The Aquariums work with groups such as the Karen Beasley Sea Turtle Rescue and Rehabilitation Center and the Network for Endangered Sea Turtles (NEST) Rehabilitation Facility. 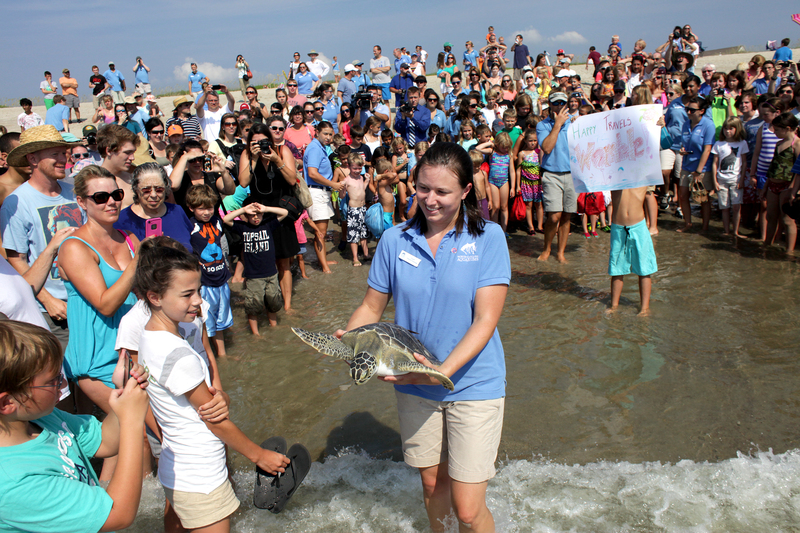 The Aquarium at Roanoke Island opened a new Sea Turtle Assistance and Rehabilitation (STAR) Center on May 24, 2014. You can learn more about that project here. Turtles are reptiles, most easily distinguished by their shells. These shells can be hard and bony or soft and leathery. 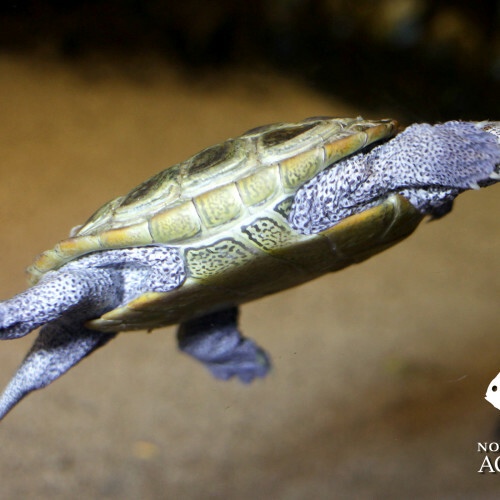 Turtles exhibit characteristics shared by all reptiles: they are cold-blooded, have scales, breathe using lungs and lay eggs. 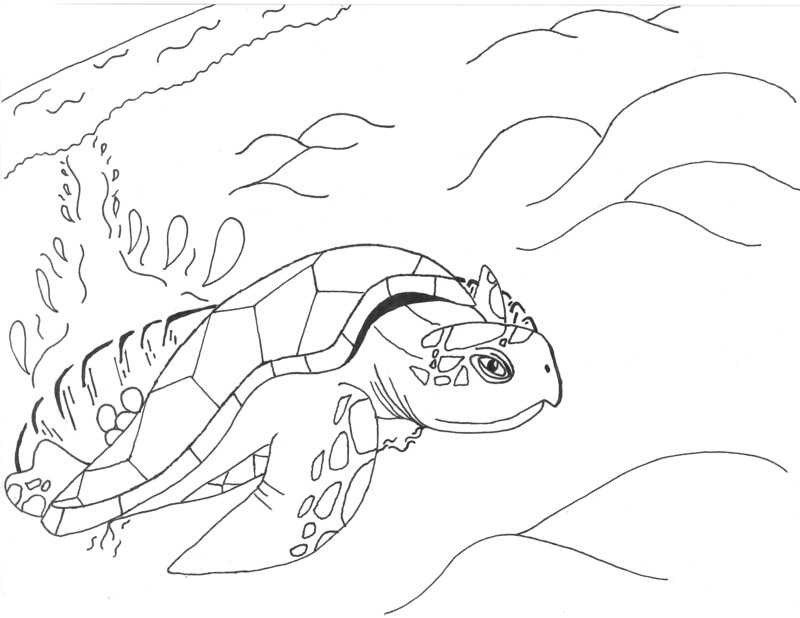 However, turtles are the only group of reptiles that have both a shell and a beak (instead of teeth). 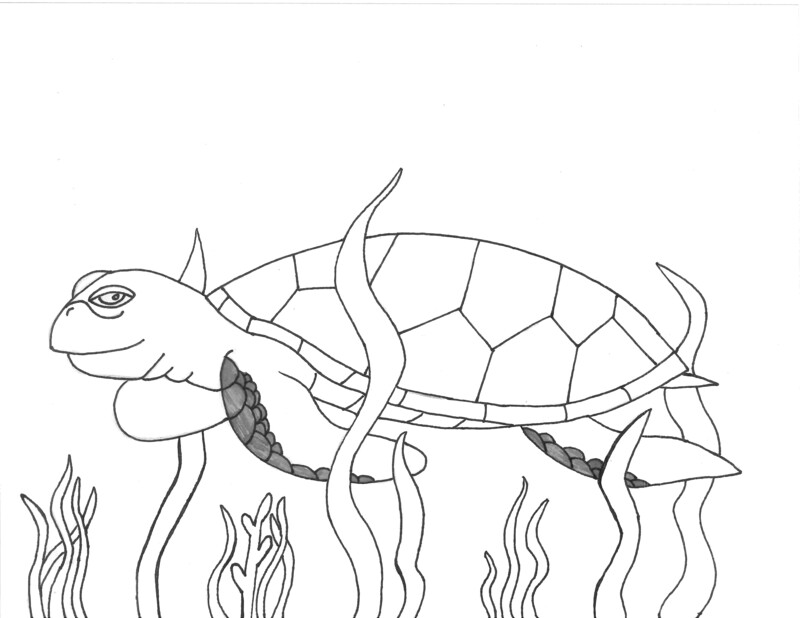 Turtles are the most ancient of all living reptiles. 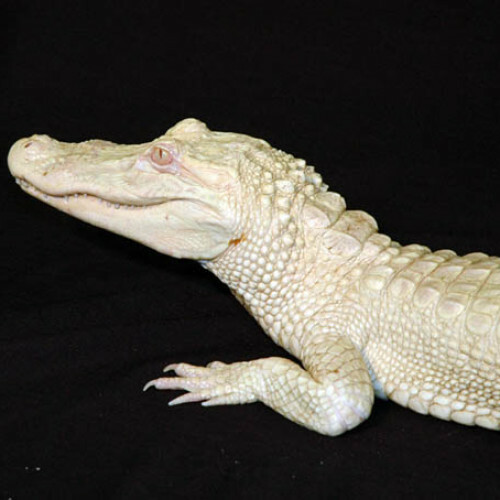 They first appeared on earth some 200 million years ago and have remained relatively unchanged. 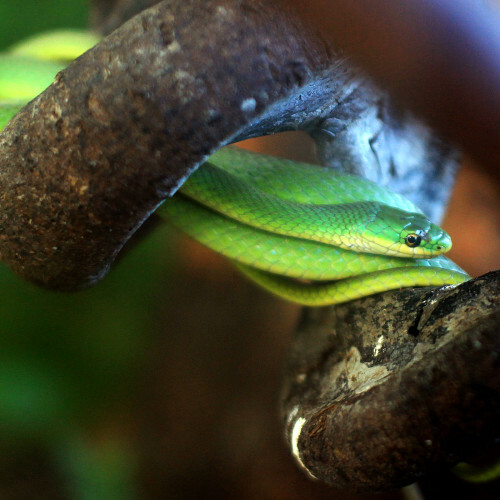 Their survival is most likely due to one of nature’s most successful designs – the shell. The shell is actually fused bone, consisting of the rib cage and spinal cord. 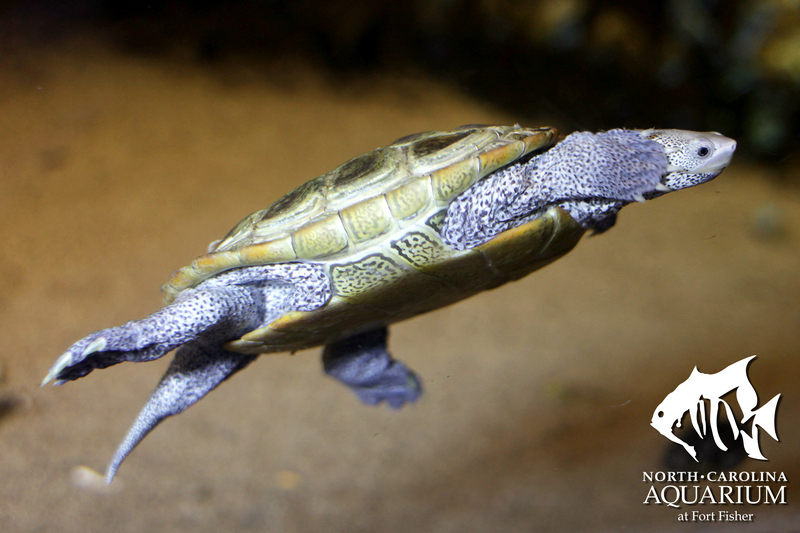 The shells of water turtles are much flatter and more streamlined than land turtles, creating less water resistance when swimming. 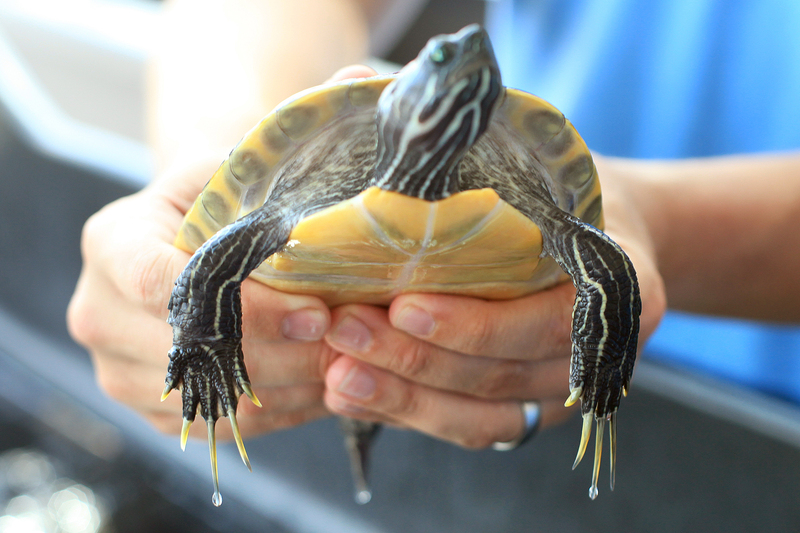 All aquatic turtles have webbed feet that help them displace water with each stroke. 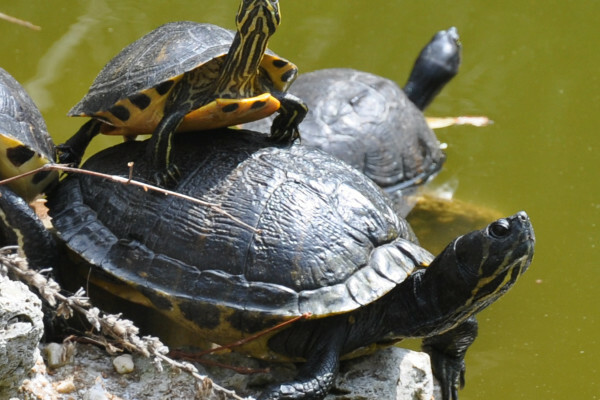 There are over 250 species of turtle, broken into three main groups: land turtles, aquatic turtles and marine turtles. 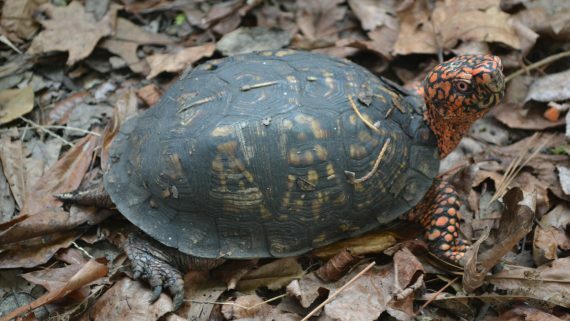 Twenty species of turtles have been recorded in North Carolina; all but one, the box turtle, are chiefly aquatic. 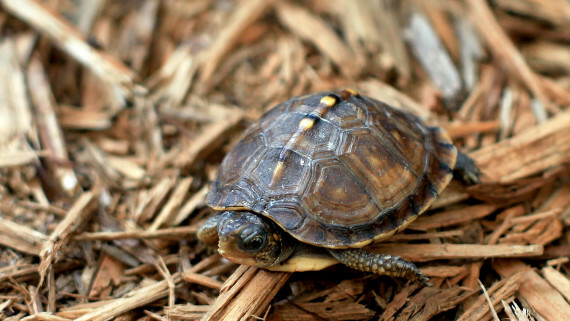 North Carolina’s turtle population includes both the smallest and largest species in the world. 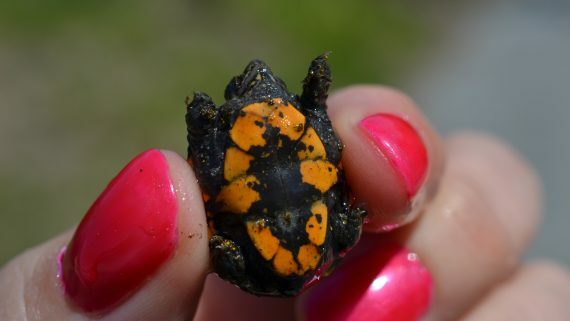 The bog turtle, found in western North Carolina, is a rare turtle reaching a mere 3-4 inches in length. 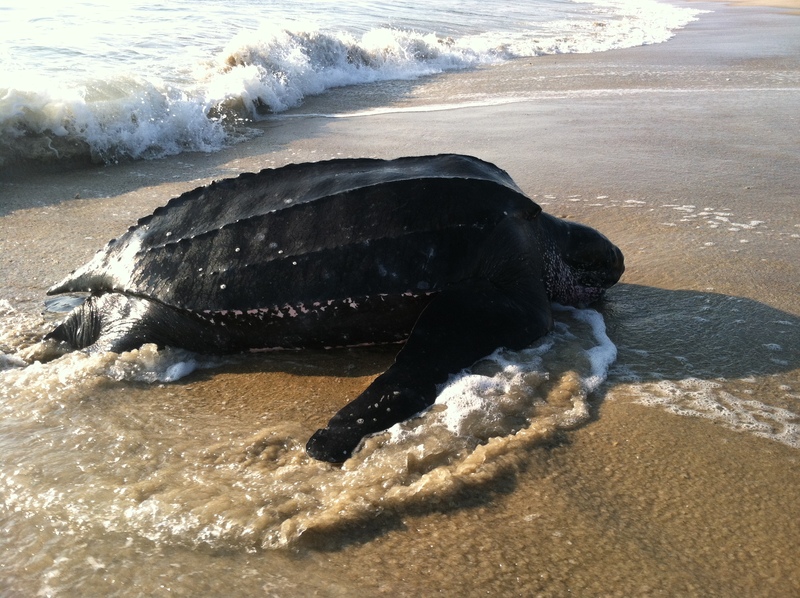 The leatherback sea turtle is also rare and can have a shell length of more than 72 inches and weigh up to 1,500 pounds. 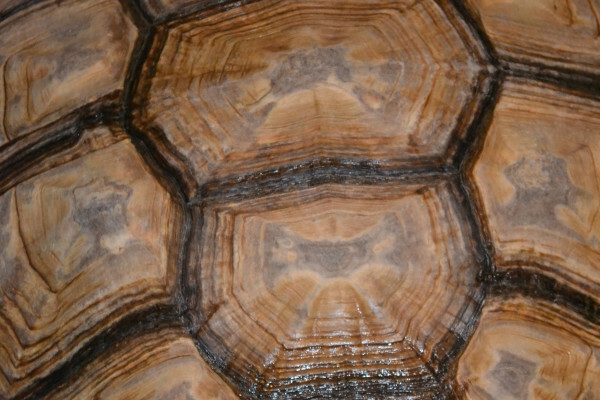 Some land turtles can also be called tortoises. 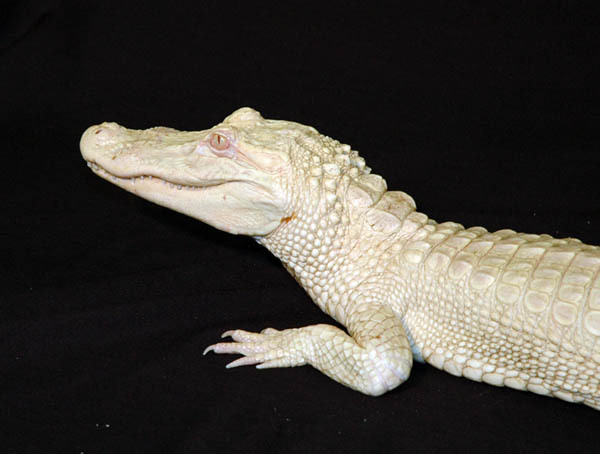 They spend the majority of their time on land, only occasionally venturing into shallow water. 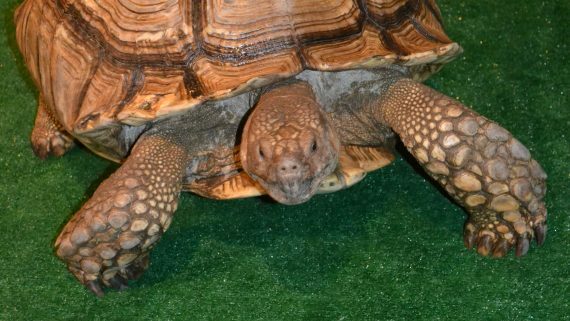 Land turtles tend to have broad, stumpy feet. They can be herbivores or omnivores. 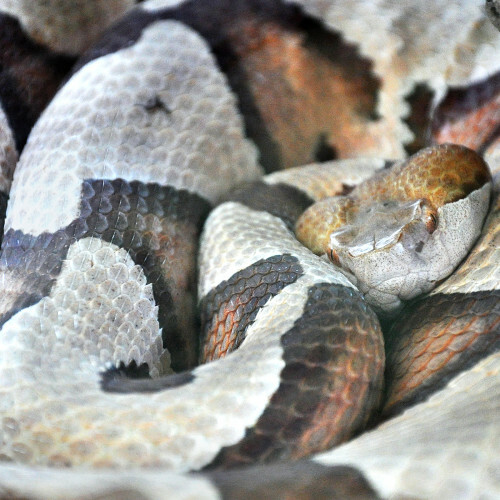 Their shells are usually domed, allowing the animal to hide inside. 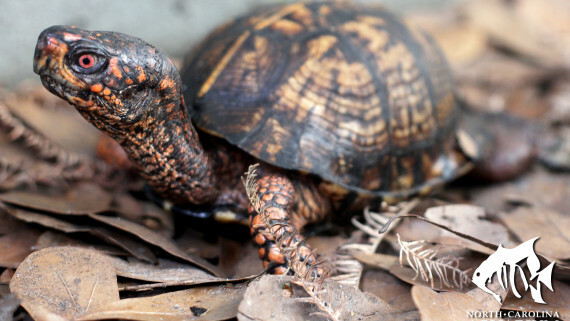 The only land turtle found in North Carolina is the Eastern box turtle. 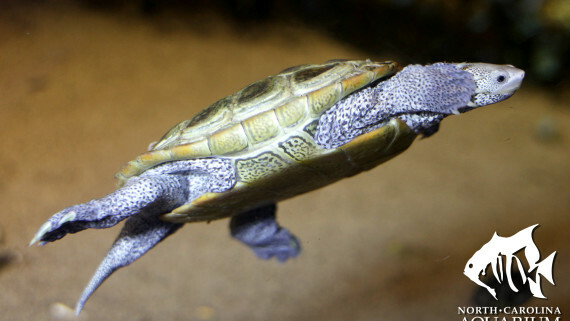 Aquatic turtles spend most of their time in the water. 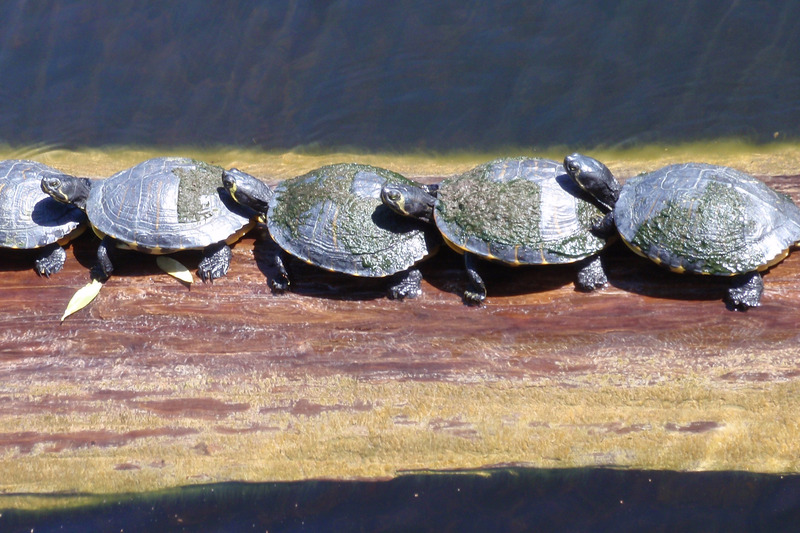 Although most aquatic turtles prefer fresh water, this group can also include terrapins. 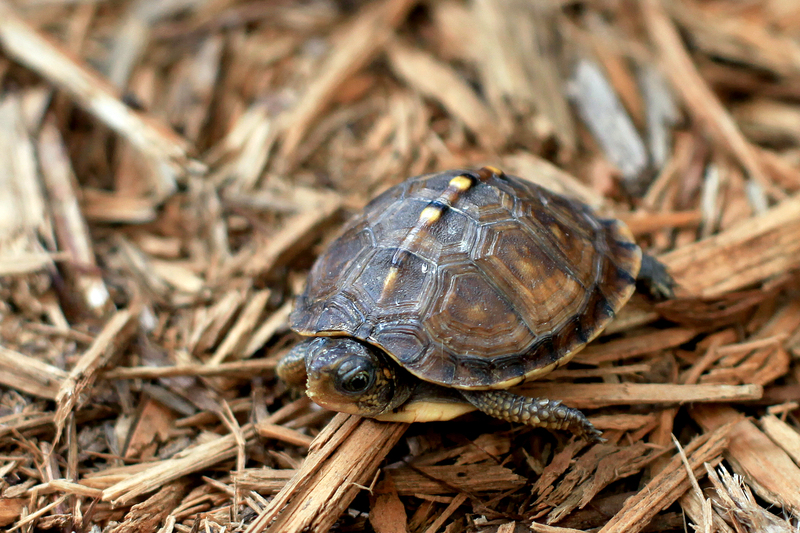 Terrapins are the only turtles in the North America that live exclusively in brackish water. 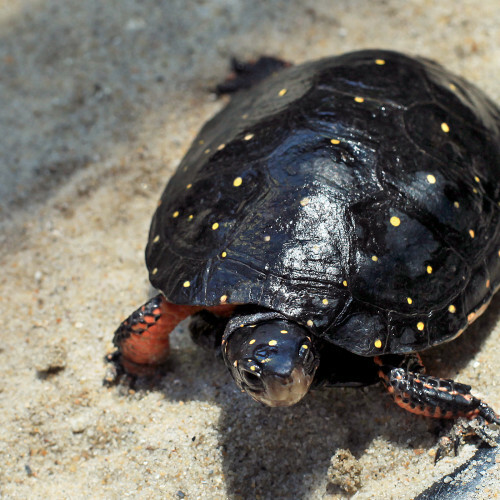 The diamondback terrapin is the only salt marsh turtle in North America. 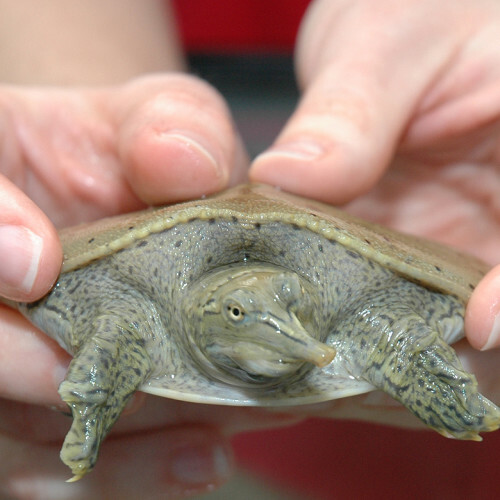 Aquatic turtle shells tend to be less domed than land turtles so they can move quickly through the water. 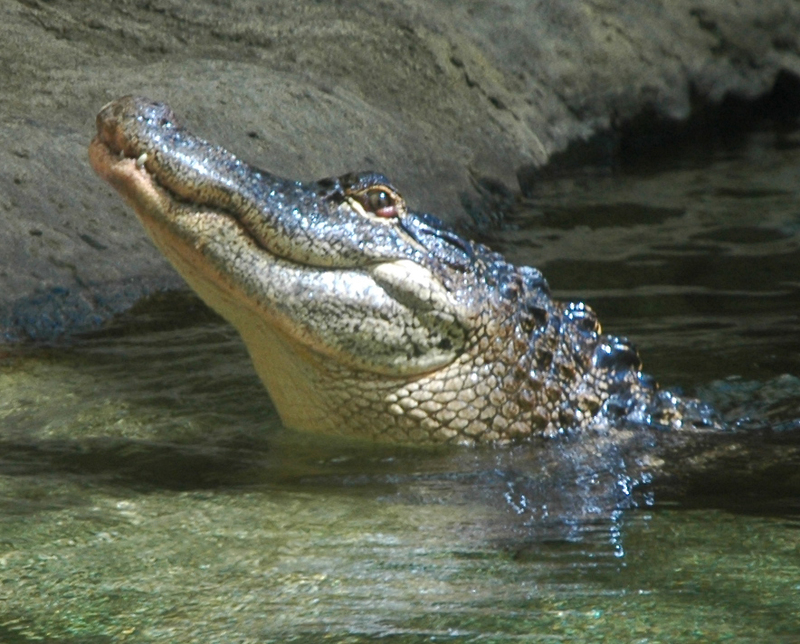 Their feet are typically webbed to allow for better swimming. 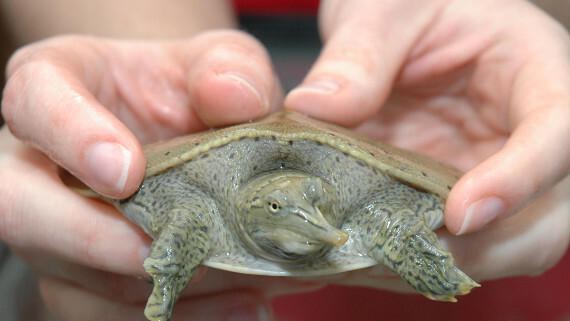 Aquatic turtles are usually omnivores. 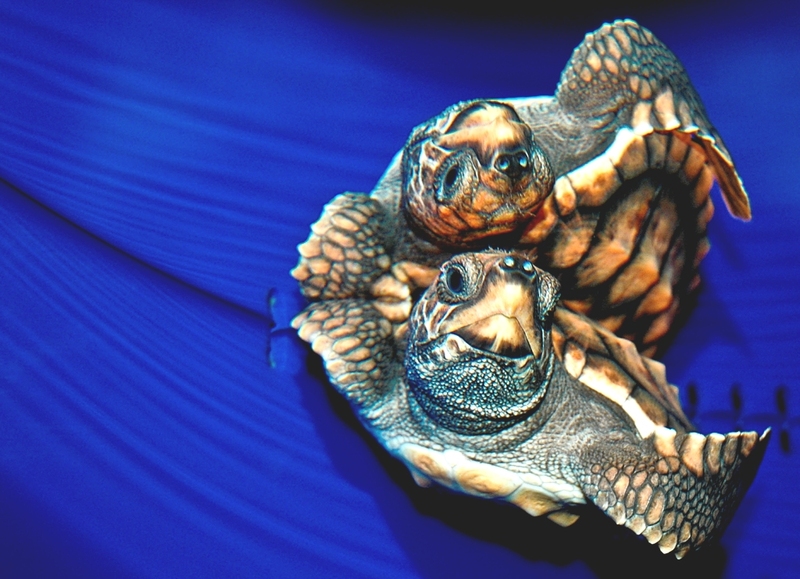 Marine (or sea) turtles are found in the ocean. 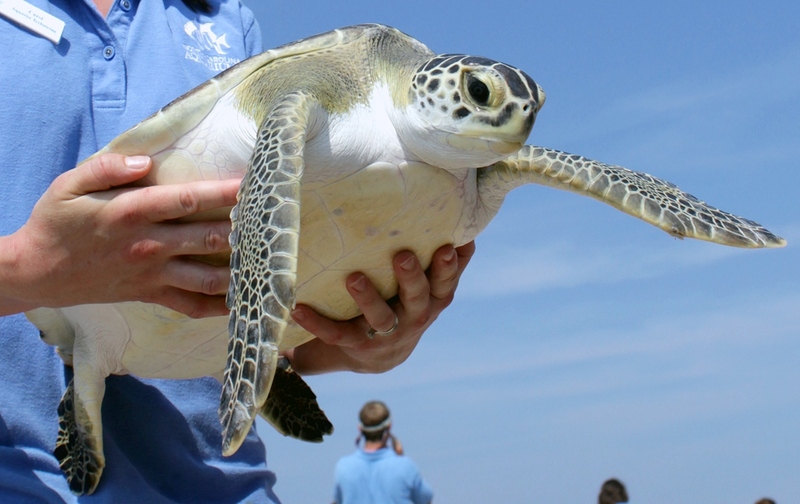 There are seven species of sea turtles worldwide, five of which can be found in North Carolina. 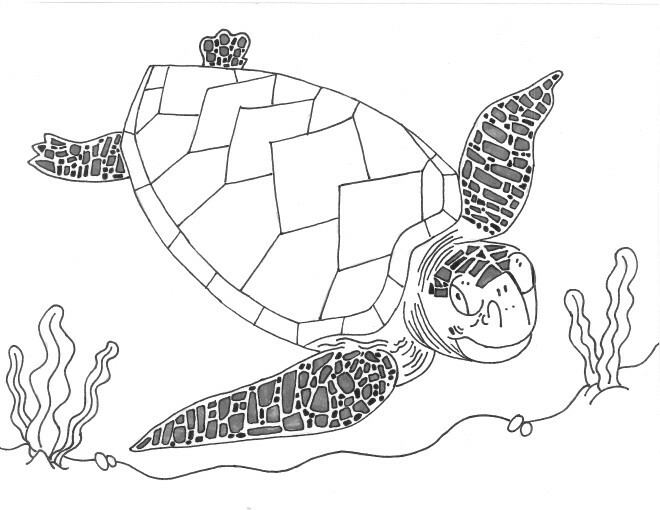 Sea turtles have flattened shells to allow them to swim quickly through the ocean. They do not have feet like other turtles, but instead have flippers. 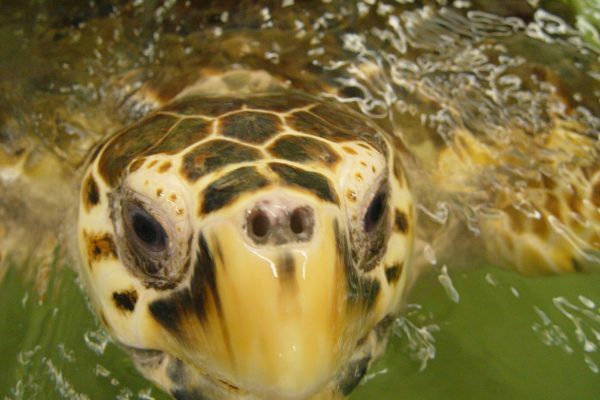 Sea turtles cannot hide in their shells, so must swim away from their predators. Foods sea turtles eat include crabs, fish and jellyfish. 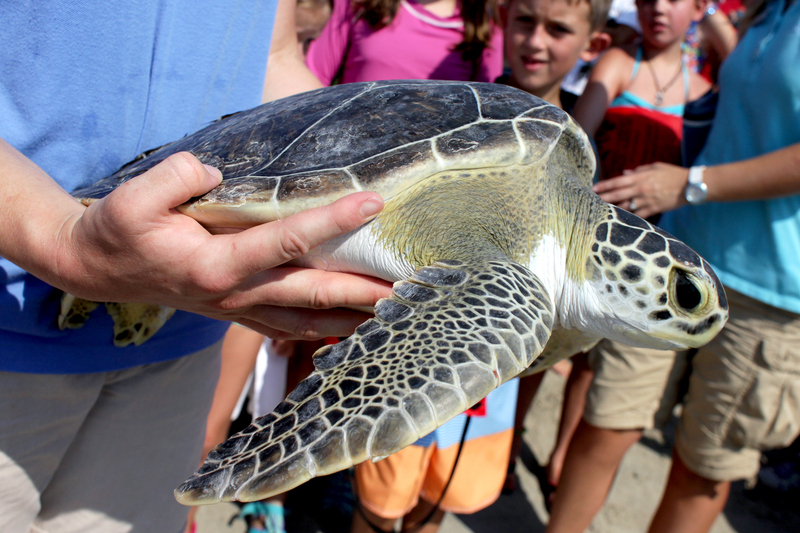 Only the green sea turtle eats much vegetation as an adult. 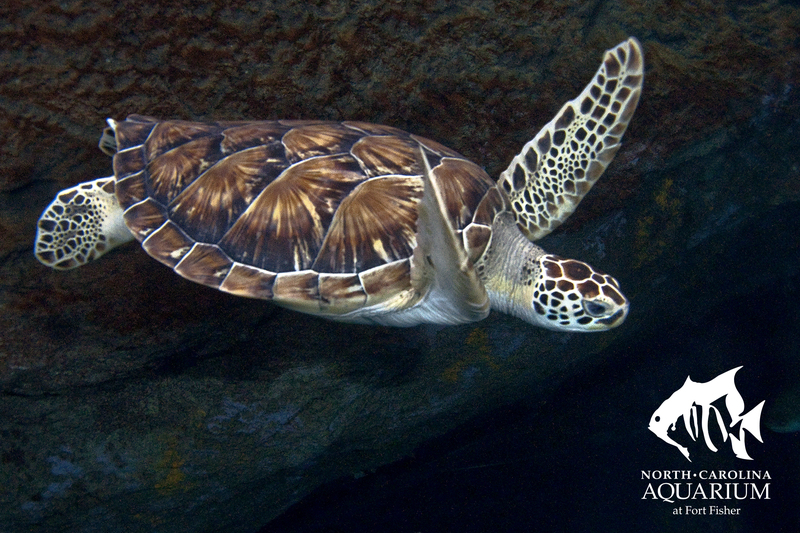 Whether aquatic or land dwellers, almost half of the world’s turtles are at risk because of habitat degradation, hunting and environmental pollution. 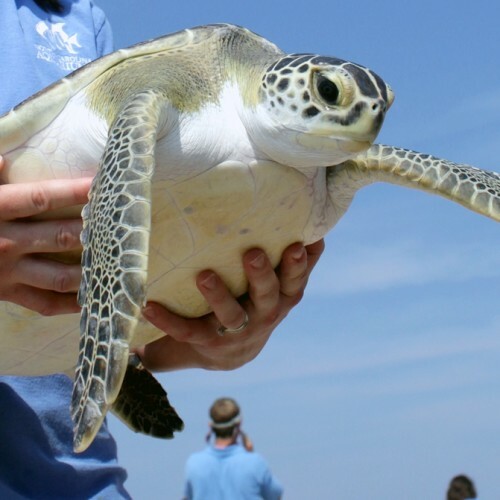 In North Carolina, seven species native to the state, including all five sea turtles, are considered threatened, endangered or at risk of extinction. 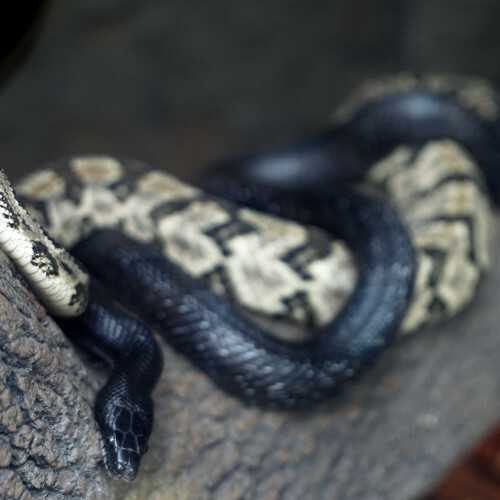 As reptiles, turtles are very sensitive to changes in their environment. 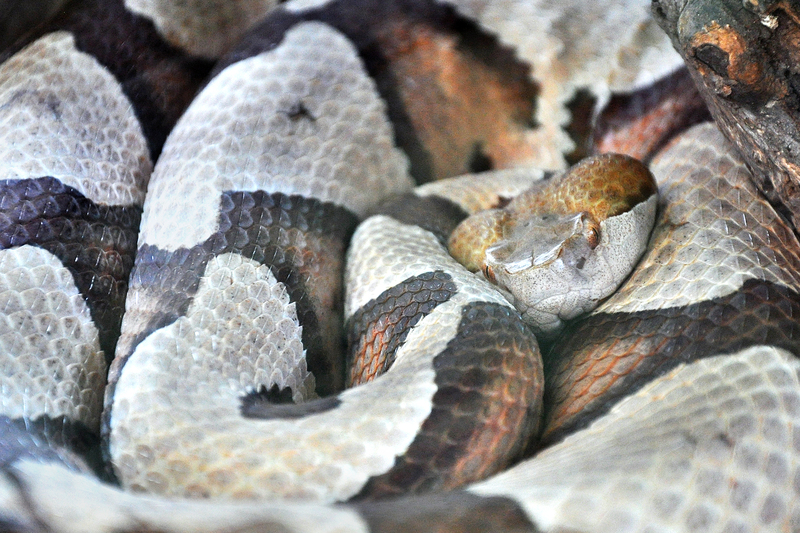 Because they are cold blooded, they need sunshine and warm temperatures to keep their body warm. 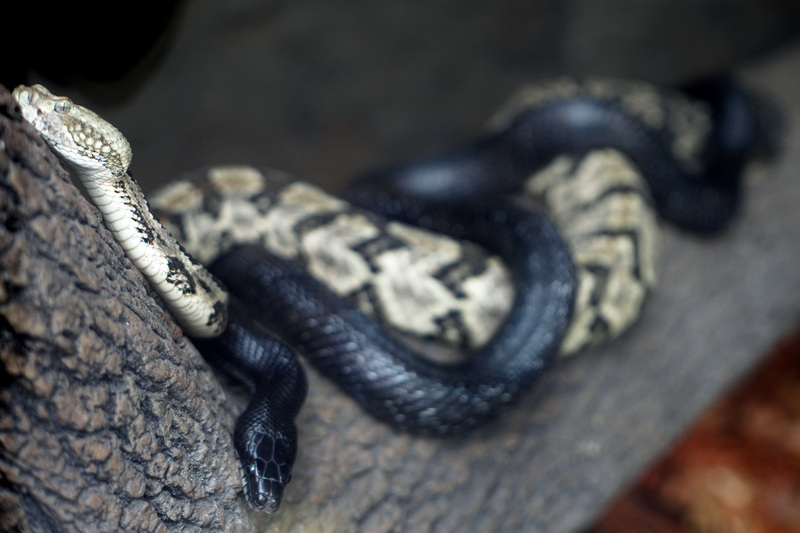 The gender of their babies is determined by the temperature at which they are incubated. 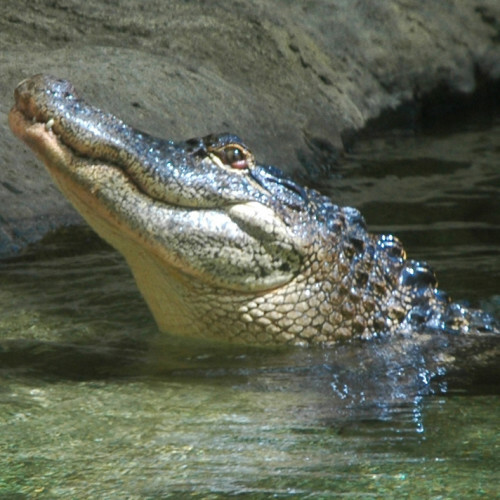 Their habitat is also impacted by a changing climate. The earth is surrounded by an atmosphere made of gasses that act as a heat-trapping blanket. Energy from the sun reflects off of the earth and is either trapped by our atmosphere or escapes to space. This process is very important because it keeps our planet at a warm enough temperature for life to survive. We use oil, coal and natural gas to power our cars, homes and factories. When we burn these fuels, they produce carbon dioxide. The carbon dioxide travels to the atmosphere causing our heat-trapping blanket to become thicker, allowing less heat to escape. This causes Earth’s temperature to rise. Since the industrial revolution, the global average temperature has risen more than 1°F. A change of one degree is the difference between having a popsicle on a stick and having one melting all over your hand. Extra carbon dioxide is also being absorbed by the ocean. Since the atmosphere and the ocean touch over 70% of the planet, the ocean acts as a giant sponge and absorbs much of the extra carbon dioxide. This increase in carbon dioxide in the water is changing the ocean’s chemistry in ways that will have big impacts. Many ocean creatures are very sensitive to changes in the ocean’s water chemistry. Some shellfish, corals and sponges need calcium to be strong, like people need calcium for strong bones. Since they can’t drink milk, they get their calcium from the ocean water. Unfortunately that calcium, in the form of calcium carbonate, is getting harder to find. Carbon dioxide binds with calcium carbonate in the water and changes it into a form that corals cannot use called calcium bicarbonate. Then the calcium bicarbonate breaks down into carbonic acid which is causing the pH of the ocean to change. As the amount of carbon dioxide in the ocean increases it becomes harder for some ocean creatures to build their skeletons. This process is called ocean acidification. 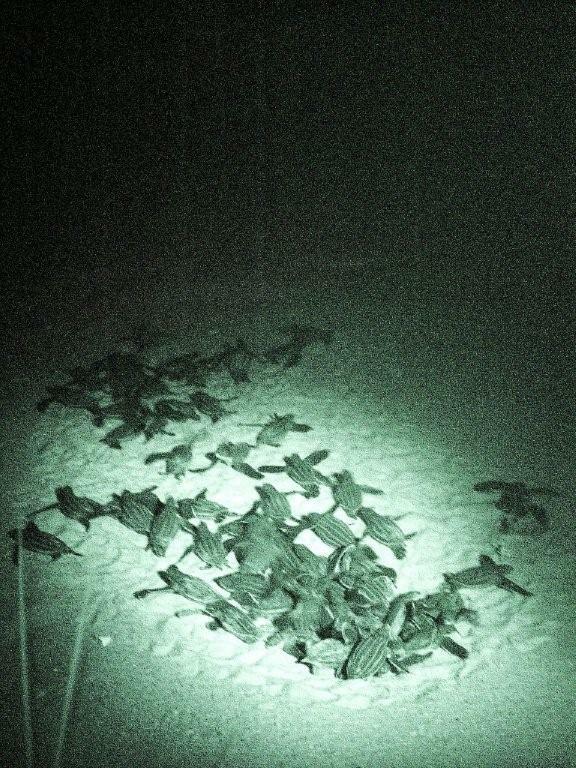 This, along with the warming of our planet, will impact turtles in a variety of ways. 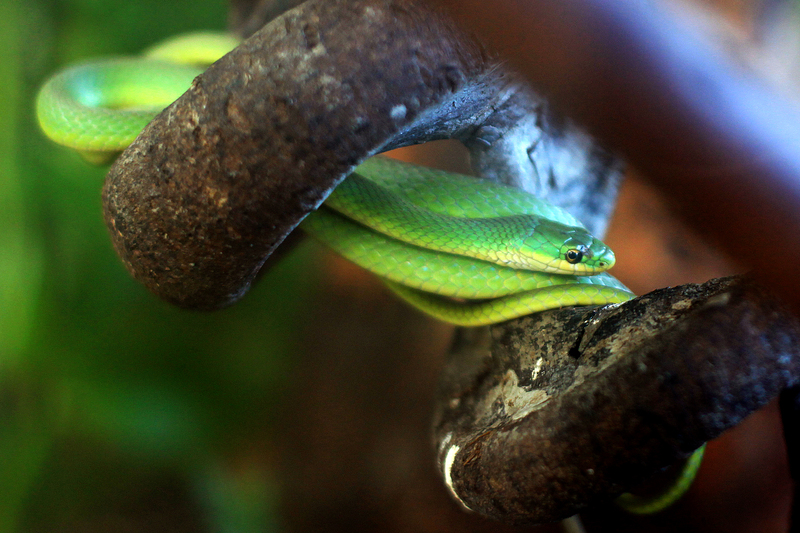 It will impact their habitats, nests and food. Since the ocean and the atmosphere touch over 70% of the Earth, the ocean absorbs both extra heat and extra carbon dioxide. The ocean is a heat-sink and is responsible for helping to regulate the planet’s climate. Unfortunately, the extra heat can actually cause sea level to rise. Warmer water physically takes up more space than cooler water. As the warmer water begins to take up more space, it will cause the sea levels to rise. Sea level rise will impact each place differently due to geological differences. The good news is people can make plans to adapt to rising sea levels at a local level. However, turtles may not be able to adapt as they lose precious habitat. 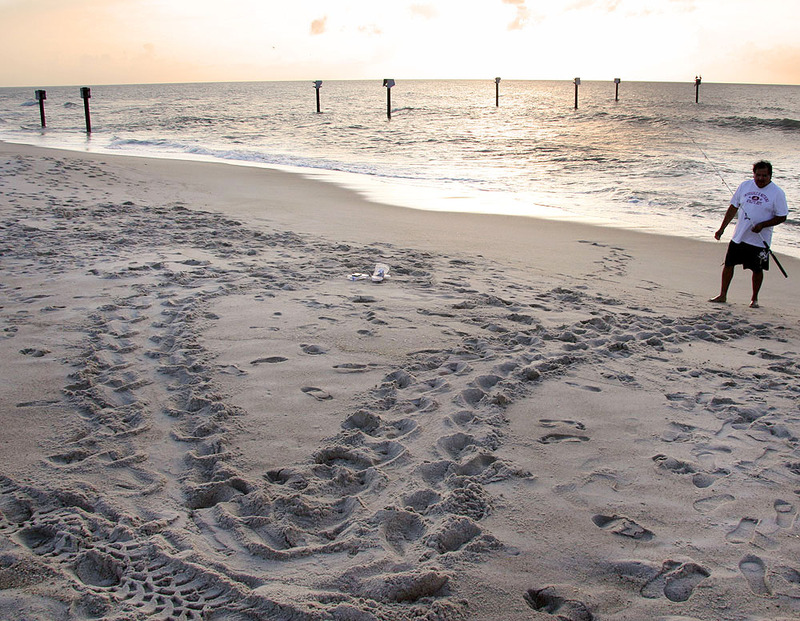 Sea turtles depend on beaches for nesting grounds. As water levels come up, the beaches will become much narrower. 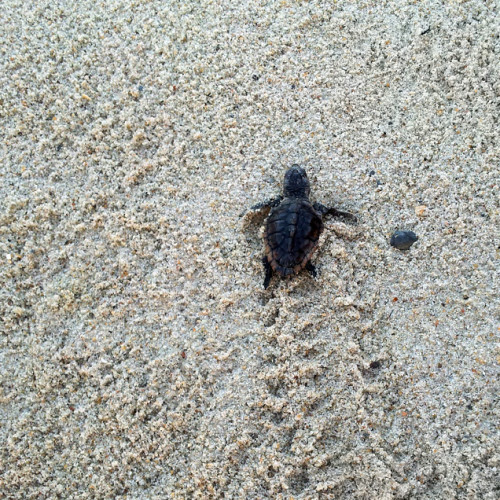 It will also become harder for sea turtles to lay their eggs above the high tide line so they don’t drown. 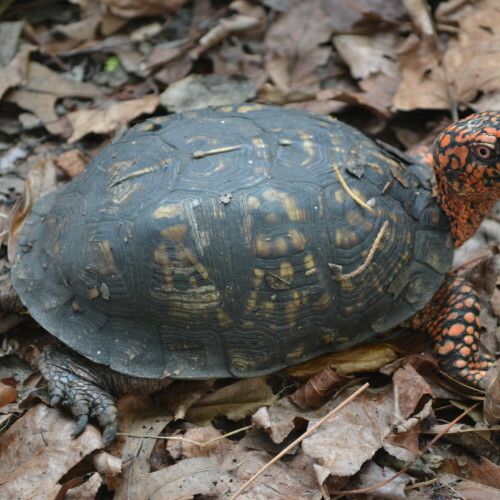 Land and aquatic turtles will also see their habitats impacted. 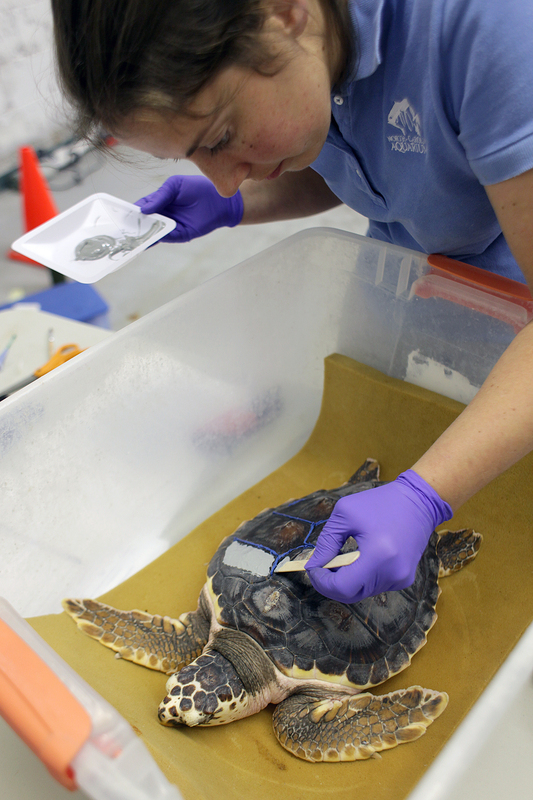 Because diamondback terrapins are only found in brackish, coastal marshes, their habitat is extremely vulnerable to sea levels rising. 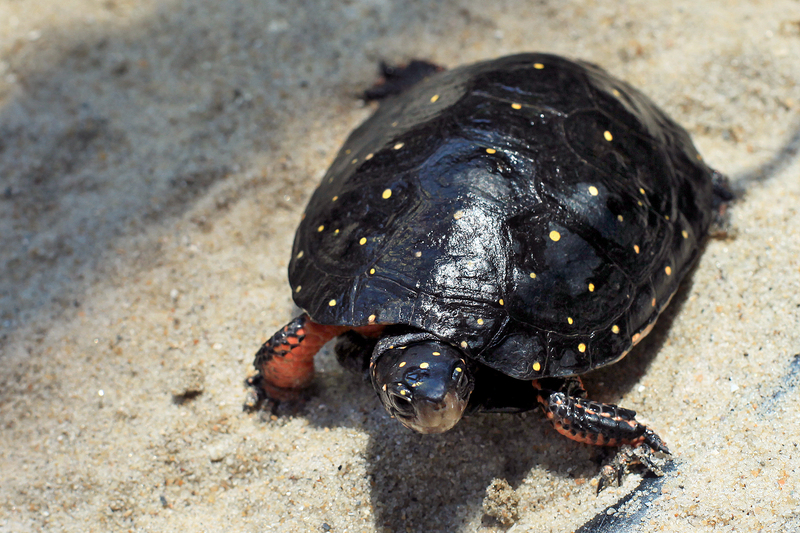 Diamondback terrapins prefer to nest in sandy soil just above the high marsh. Historically, as sea levels rose, salt marshes would move backwards, much like beaches. Since the areas behind marshes have been replaced by homes, the marshes can no longer move. This causes the marshes to disappear. 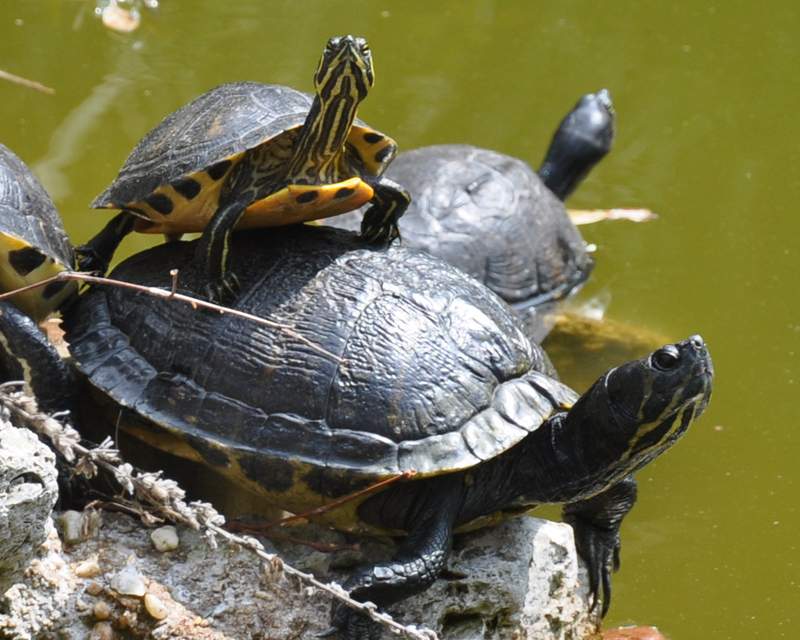 As the marshes disappear, the terrapins have to migrate more frequently looking for nesting habitat. This puts the females at a greater risk from predators and car strikes. 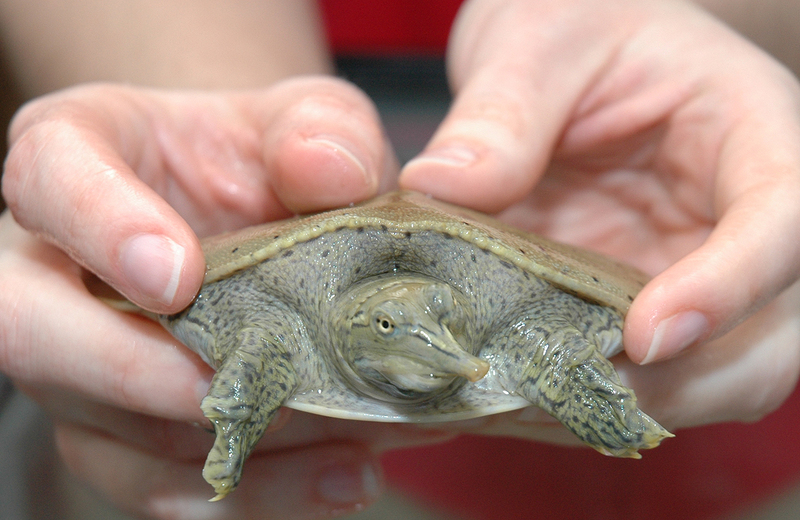 Other aquatic turtles may also see their habitats becoming smaller as weather patterns change. 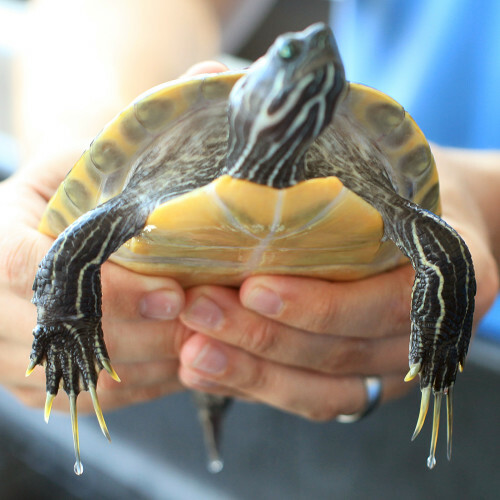 If a turtle pond is dependent on rainfall, droughts could cause it to dry up, leaving the turtles without a home or food sources. 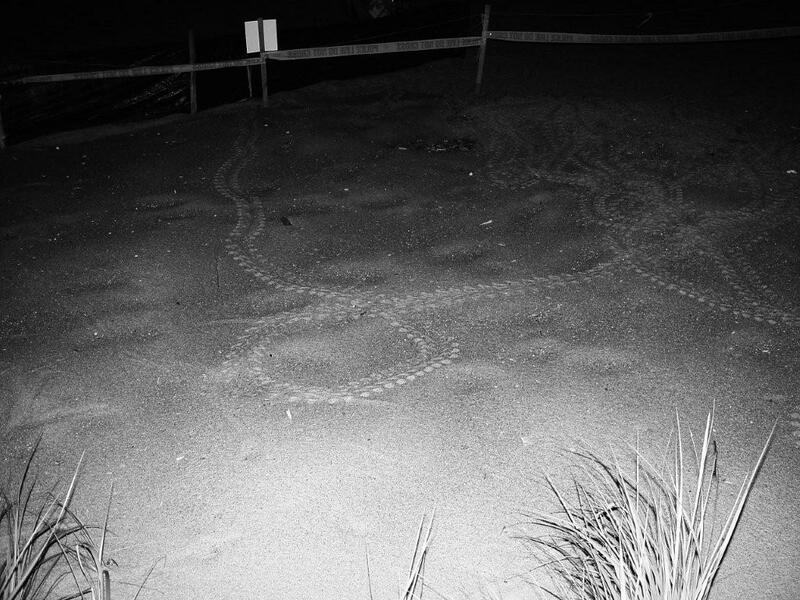 If these turtles begin to travel looking for new habitat, they will be at a higher risk of predation and car strikes as well. 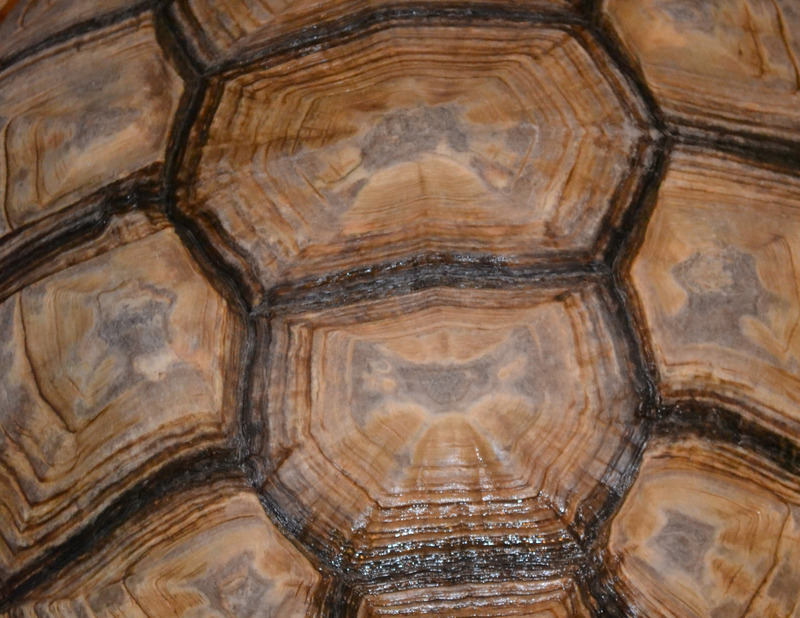 Land turtles frequently live in dry, desert areas. 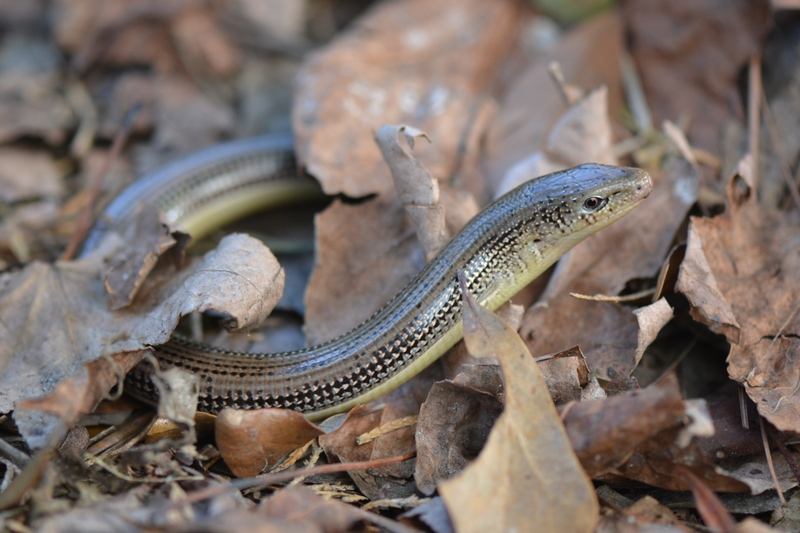 As the climate changes, these habitats may move or expand. 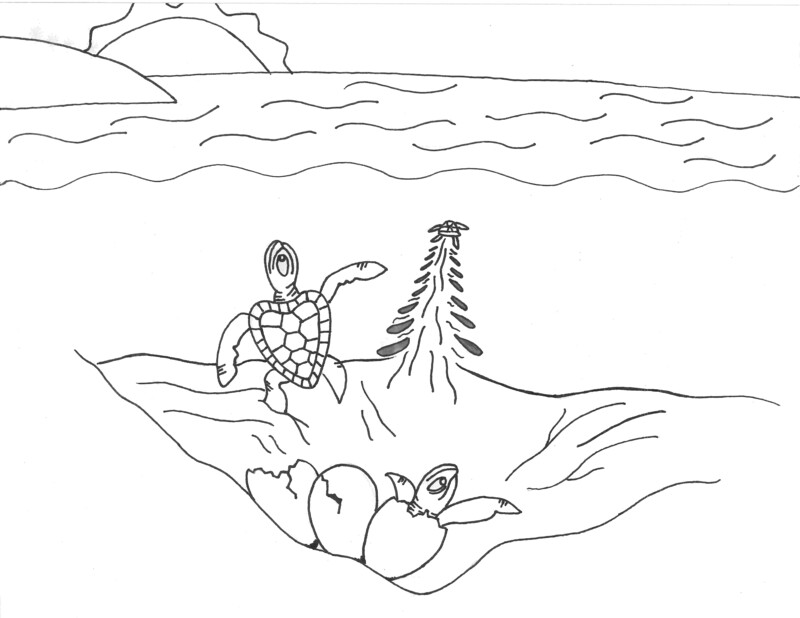 The adaptations land turtles have for these dry climates will be tested as water sources may become harder to find. 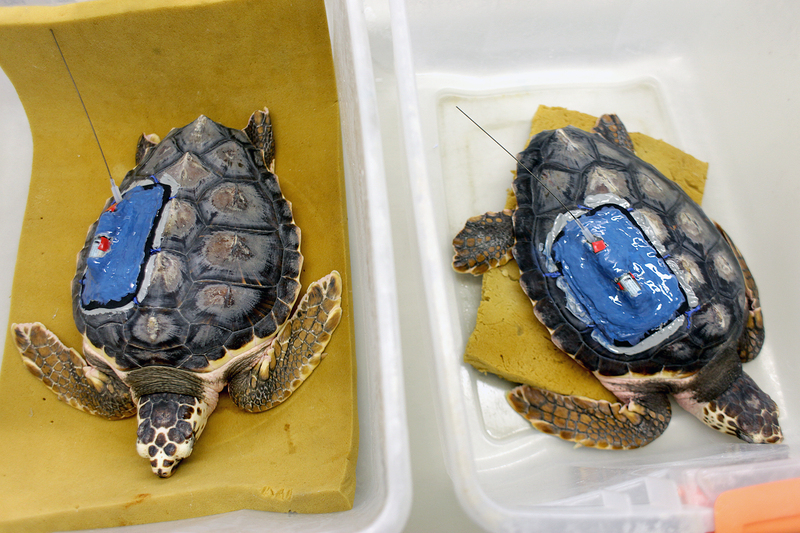 Turtle habitats will also be impacted by increased severity of storms. If we see more frequent or larger hurricanes, we will see an increase in beach erosion. 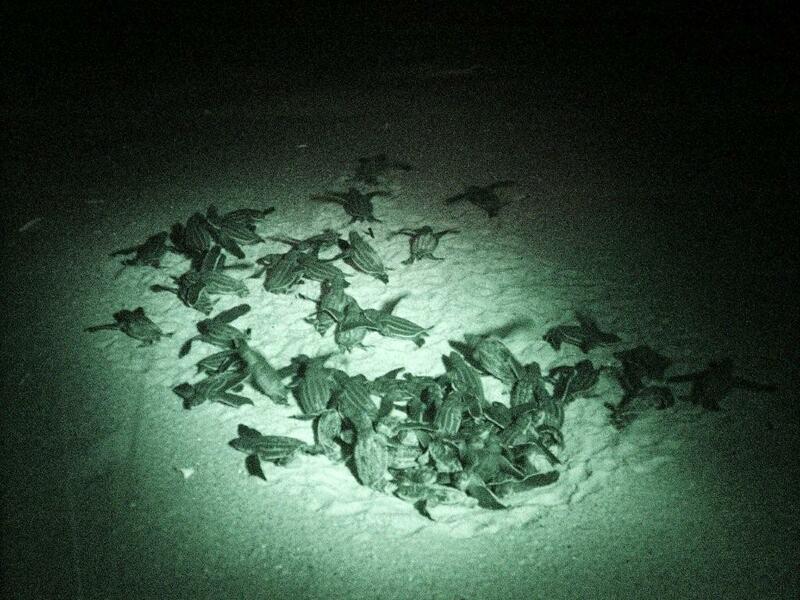 We will see storm surges displacing turtles or nests. There will also be an increase of saltwater being pushed into freshwater habitats which could cause turtles to dehydrate [ref: Olson & Saenz 2013]. 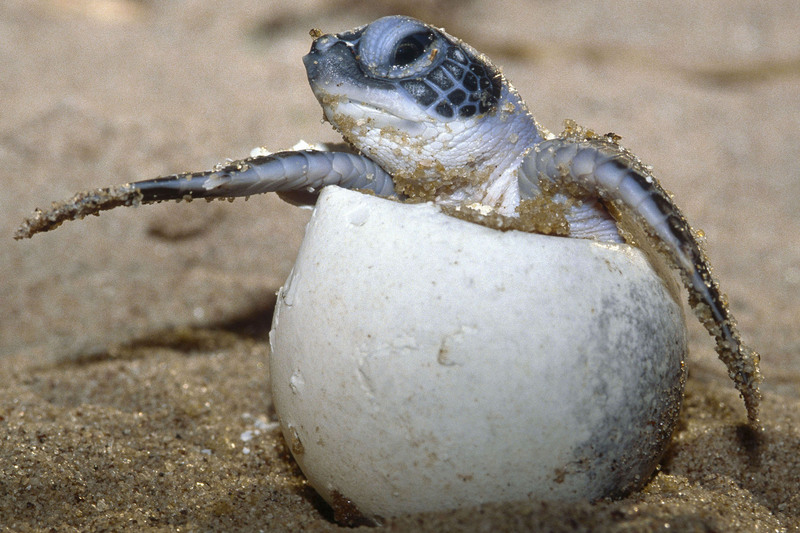 Turtle nests will face greater risk due to climate change. 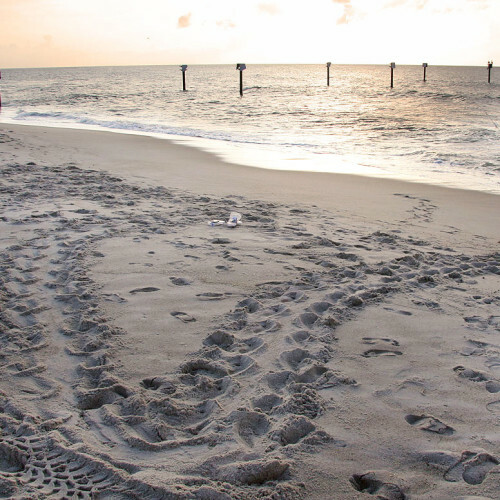 As beach habitats become smaller, it will be more difficult for sea turtles to find safe places to nest. 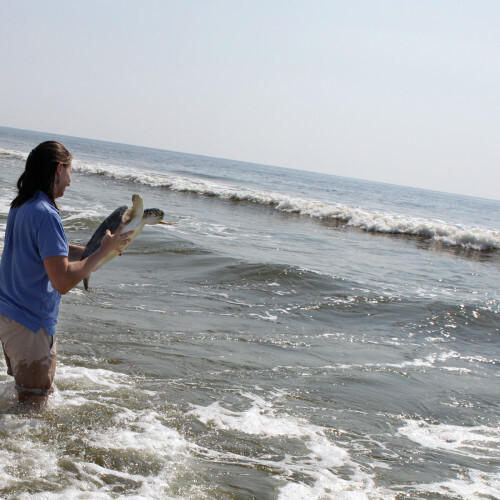 Predators will have easier access to the nest and it will be more difficult to place the eggs above the high tide line. Females will begin to compete for space. 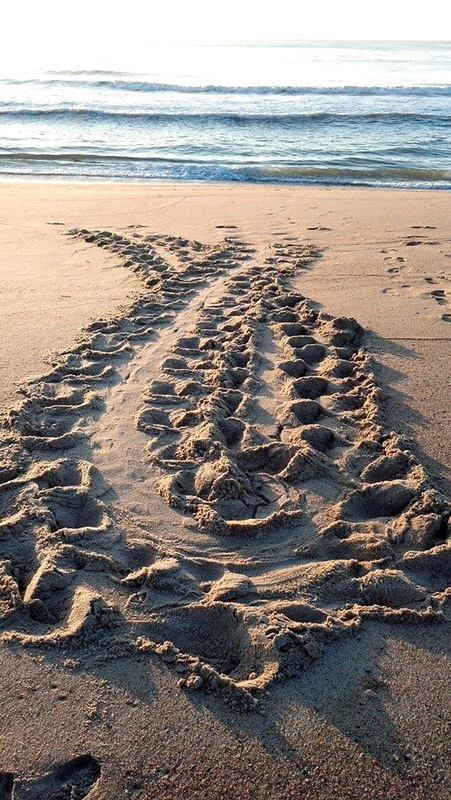 In some parts of the world, there is not enough space for sea turtles to nest. 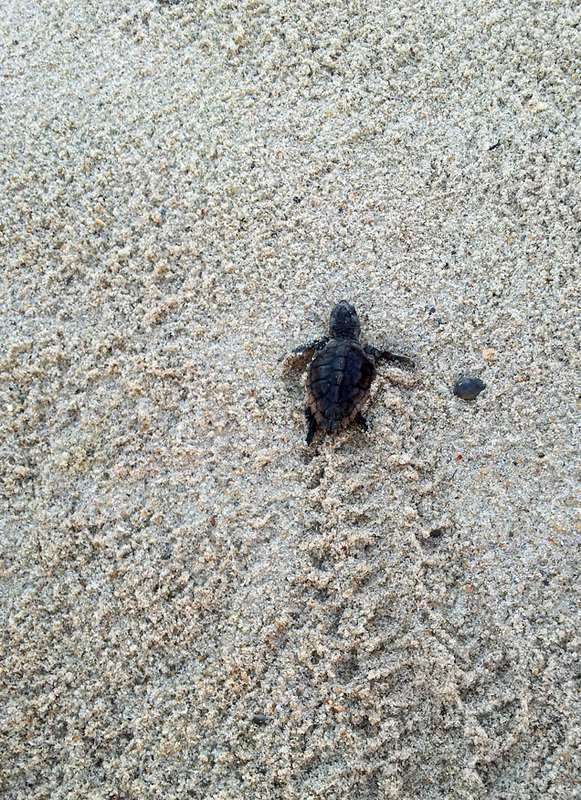 Females who arrive late end up digging up nests that were already laid on the beach. 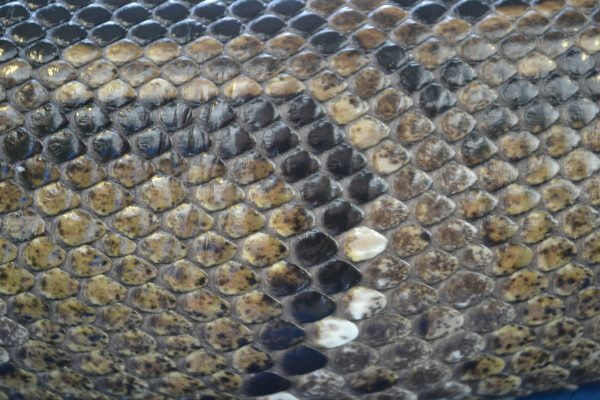 This can cause infections in the nests and cause many of the eggs to die. 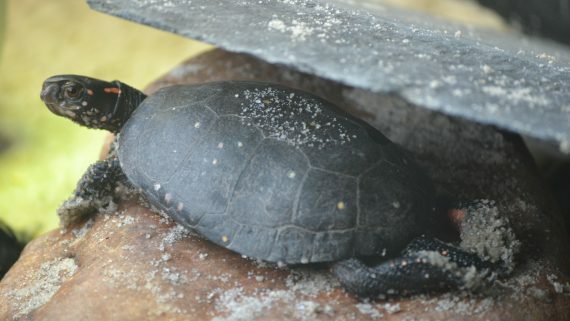 The turtles’ breeding season is dependent on air and water temperatures. 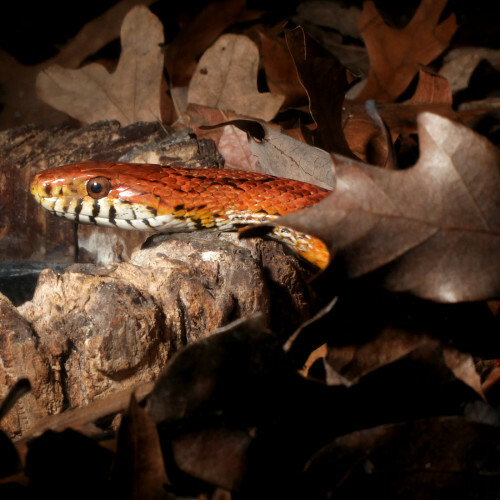 Changing air and water temperatures can also change when females come up to nest. Once the eggs have been laid, the nest needs to remain between 77-91°F (25- 33°C) [ref: Great Barrier Reef Marine Park Authority]. A changing climate will cause changes in gender ratios. Turtle gender is determined by the temperature at which the eggs incubate: warmer eggs tend to be female whereas cooler eggs tend to be male. If the temperature of the nests rises, we will see greater numbers of females and fewer males. 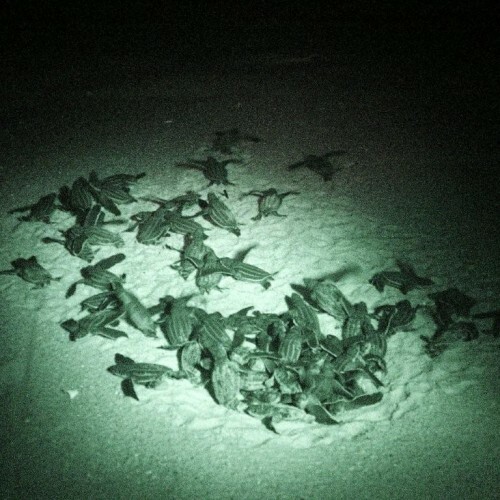 “Loggerhead turtle nests in Florida are already producing 90 percent females owing to high temperatures, and if warming raises temperatures by an additional 1°C or more, no males will be produced there” [ref: New England Aquarium]. 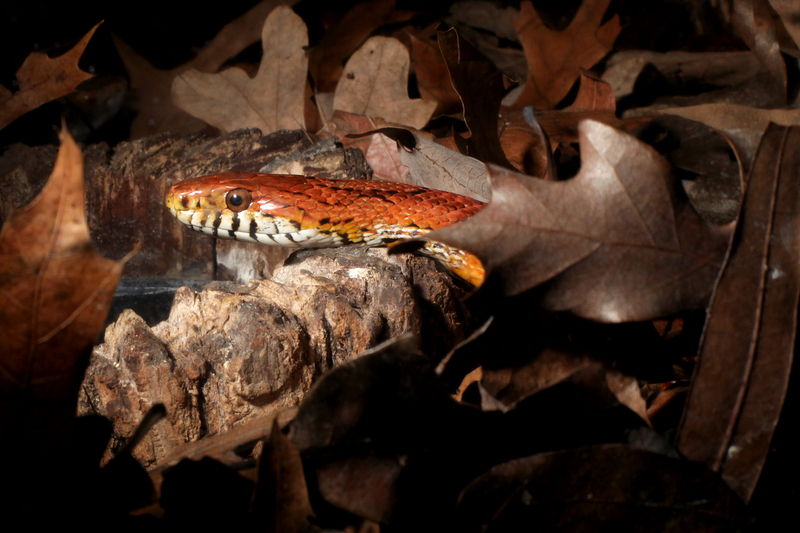 If the nests become too warm, we may see fewer eggs surviving altogether. 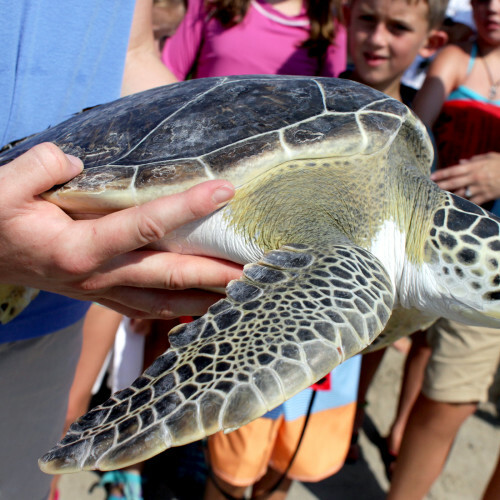 Sea turtles eat a variety of foods including shellfish, sea grasses and jellies. All of these items will be impacted by a changing climate. 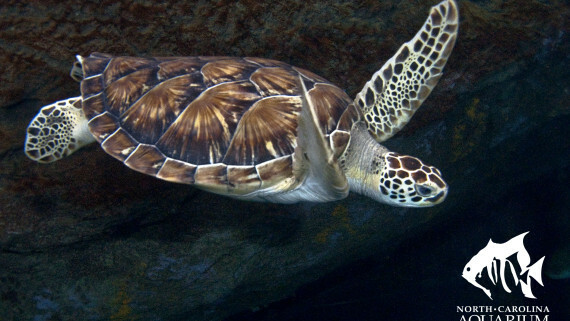 Ocean acidification and warming ocean waters may decrease the availability of many food sources for sea turtles, such as whelks and other shellfish. 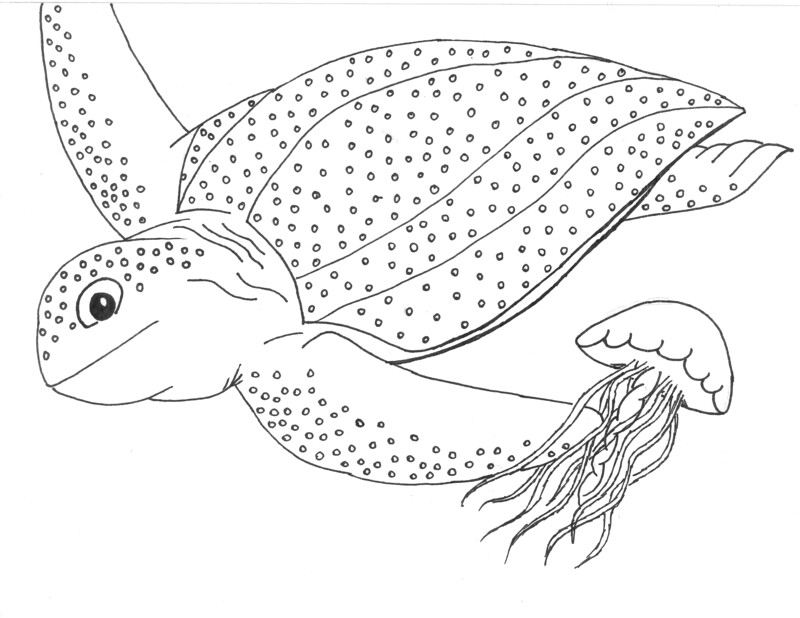 Seagrass is a food source for some marine turtles, such as the green sea turtle, and the effects of climate change may reduce the amount and spread of seagrass [ref: Olson & Saenz 2013]. 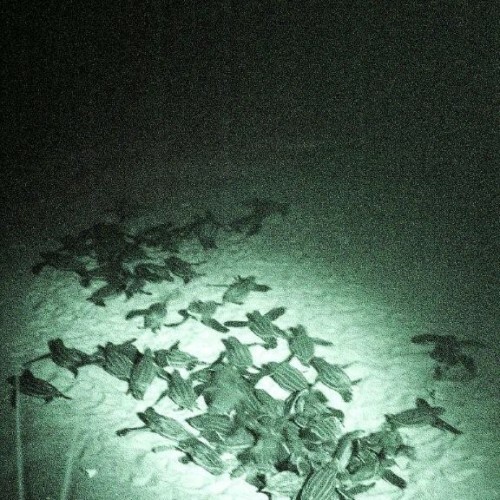 This will cause its availability to turtles to decrease. Sea grass beds are in decline due to warming water temperatures on sea grass flats [ref: New England Aquarium]. Jellies are one food source that we will see more of as the climate changes and ocean health decreases. Jellies are tolerant organisms, able to withstand wide variations in temperature, salinity and dissolved oxygen. An increase in jellies will cause more problems in their local ecosystems. There are simply not enough turtles to keep up with a jelly explosion. Thankfully it is not too late for us to work together and make changes. There are lots of steps we can take to address our changing climate. There are both individual and community-based actions. Unplug your appliances when you’re not using them. Walk or ride a bike if you don’t have far to go. Use public transportation, such as buses or trains, when available. Avoid the drive through! Turn off your car and go in! Consume foods that are minimally processed and packaged. Less packaging= less plastic= less oil used. Support local farms. Local food = less transportation = less fuel used. Improve public transit to decrease the number of cars on the road. Ban single-use plastics to decrease the amount of plastic we use. Plastic is made from oil so if we use less plastic we use less oil and produce less carbon dioxide! Create legislation that requires companies to lower their carbon footprint and be more sustainable. 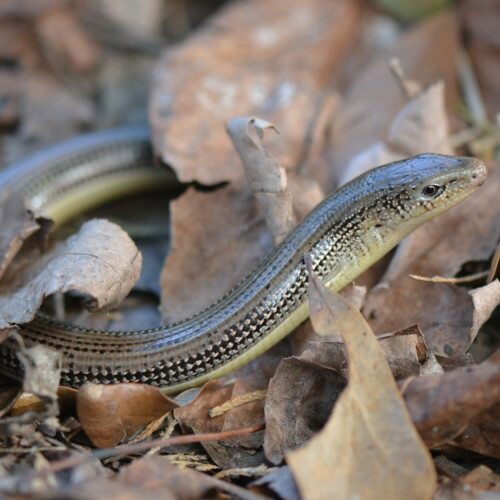 Create reptile-friendly habitat on your school grounds. 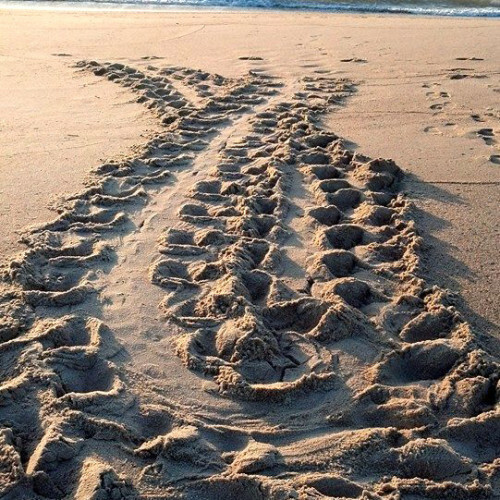 This will help turtles as they adapt to a changing climate. Host a bike or walk to school day. Create a “No Idle Zone” when parents drop off and pick up at school. Find ways for your class to reduce the amount of plastics you use. Recycling is good. Reducing is better! Try waste free lunches! Host an “Each One Teach One” day. Teach your school mates about ways they can help protect sea turtles and the planet. Share other ideas with us on our website! We may feature you on our blog. 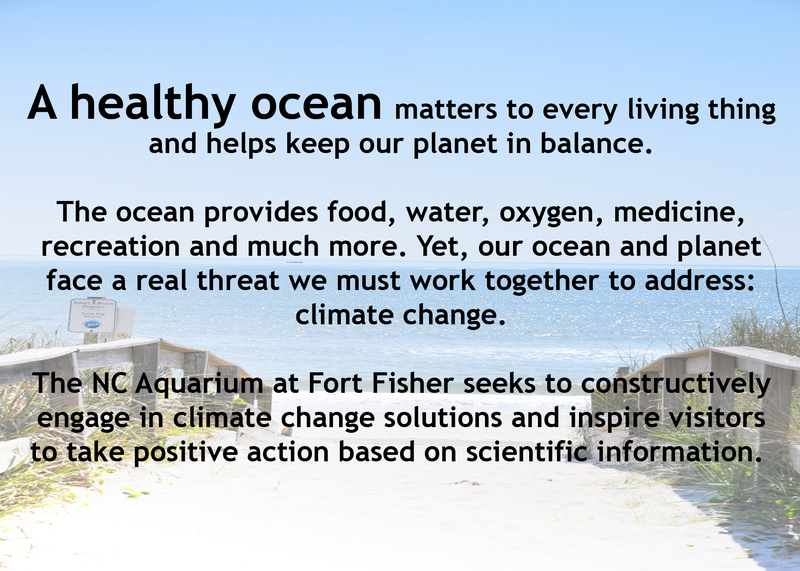 Visit our We Sea Climate Change pages for more information. To download, right click on the picture and select “Save link as”. Click on the link to open the files in a new window. 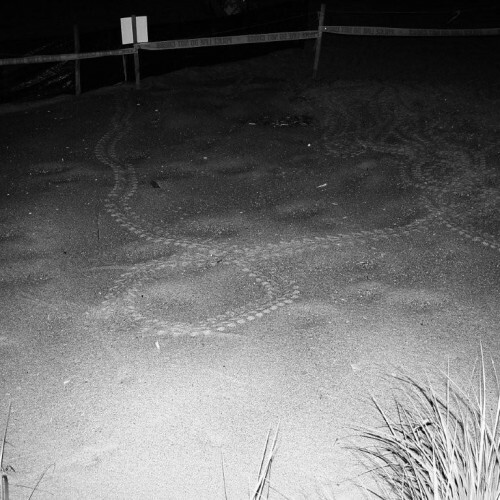 Learn about the Atlantic ghost crab, a predator of sea turtles, by creating a hand print crab. Use recycled materials to create a sea turtle out of a soda bottle cap. 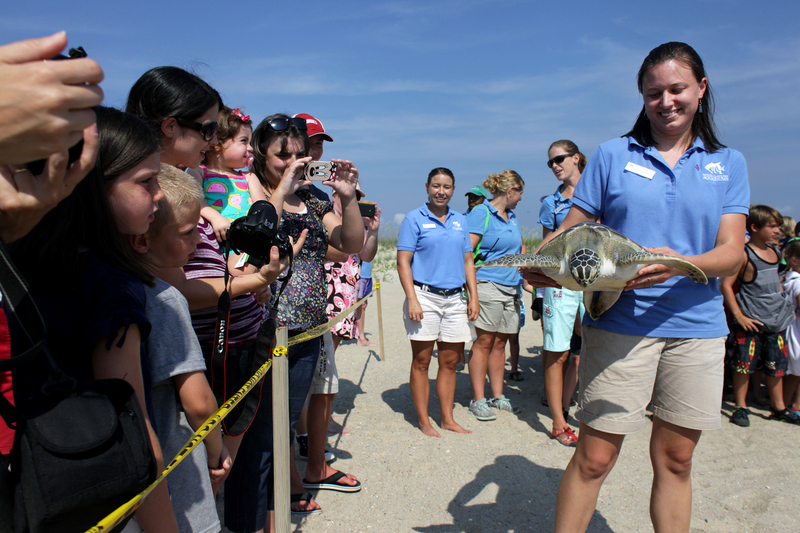 All photos are property of the North Carolina Aquarium at Fort Fisher unless otherwise noted. They may only be used for educational purposes and not reprinted or redistributed outside the classroom.